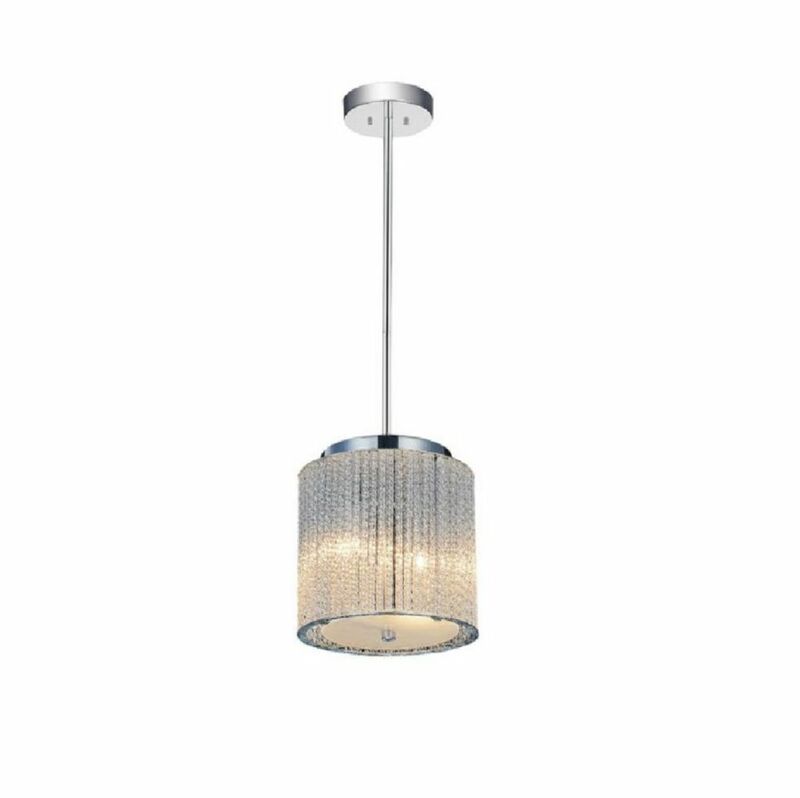 This breathtaking 2 Light Mini Pendant with Chrome Finish is a beautiful piece from our Colbert Collection. With its sophisticated beauty and stunning details, it is sure to add the perfect touch to your dicor. Meticulous attention to detail is displayed in the Cameo collection. Machined honeycomb rings are carefully positioned to create a perfect shelter for the metallic mesh draped chains. Incredible detail and craftsmanship allow this collection to be the highlight of any design. Colbert 8 inch 2 Light Mini Pendant with Chrome Finish This breathtaking 2 Light Mini Pendant with Chrome Finish is a beautiful piece from our Colbert Collection. With its sophisticated beauty and stunning details, it is sure to add the perfect touch to your dicor.